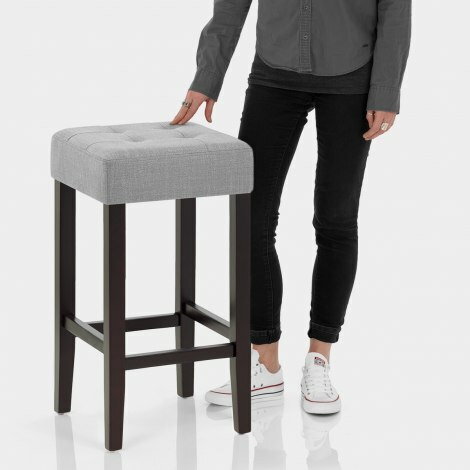 Giving the classic bar stool a contemporary update, the Oliver Wenge Stool Grey Fabric is a great mix of tradition and style. Fixed at kitchen counter height, the Oliver has versatile appeal that is a great asset to both old and new interiors, and is certainly set to impress. 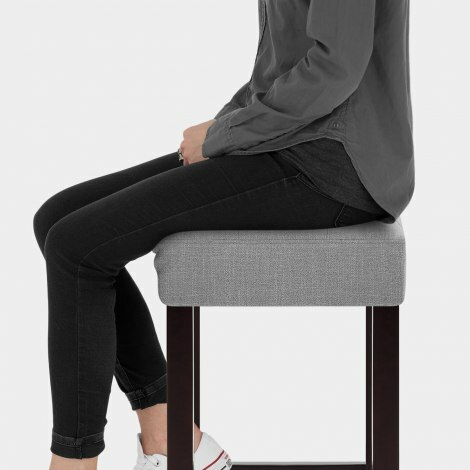 Covered in grey fabric upholstery, the square backless seat is wonderfully compact and is densely padded to offer excellent comfort. Enhanced by grid stitch detail, the seat complements the frame below. Four solid wooden legs unite to create a strong frame and have a rich dark wenge finish that matches both modern and classic interiors. Reinforcing the legs, bracing bars also provide a sturdy footrest, whilst protective floor plugs are included on the underside of each leg. 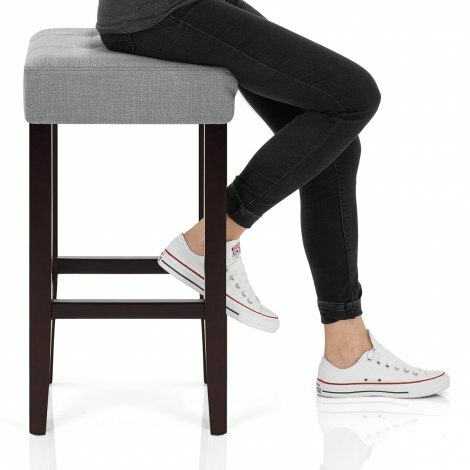 "These stools are great value for money"
Great Item for an affordable price! With the price of this item I wasn’t expecting brilliant quality but I was wrong! The stool looks expensive! It’s great quality, put together easily, and we’ve had loads of compliments. Wanted a couple of backless stools as extras. Was not expecting them to be so comfy. The seat is well sized so don't feel perched. They also look good and feel robust.